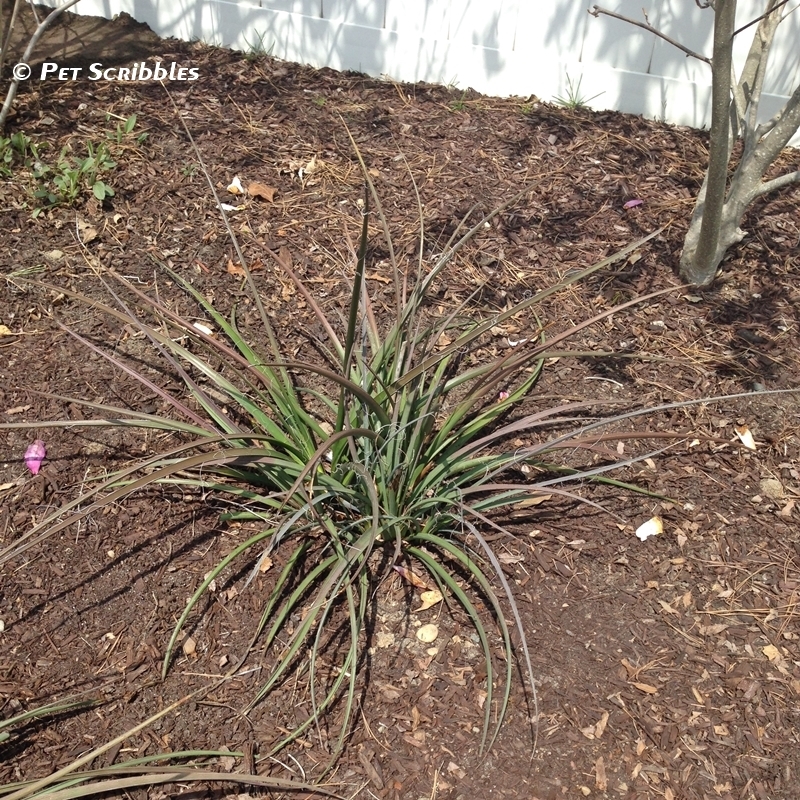 Last Spring, while shopping for shrubs at one of our favorite nurseries, we came upon the most interesting plant that resembled a yucca, yet it looked fake. The flowers were so perfect, the leaf blades such a pretty shade of green. Was this plant for real? 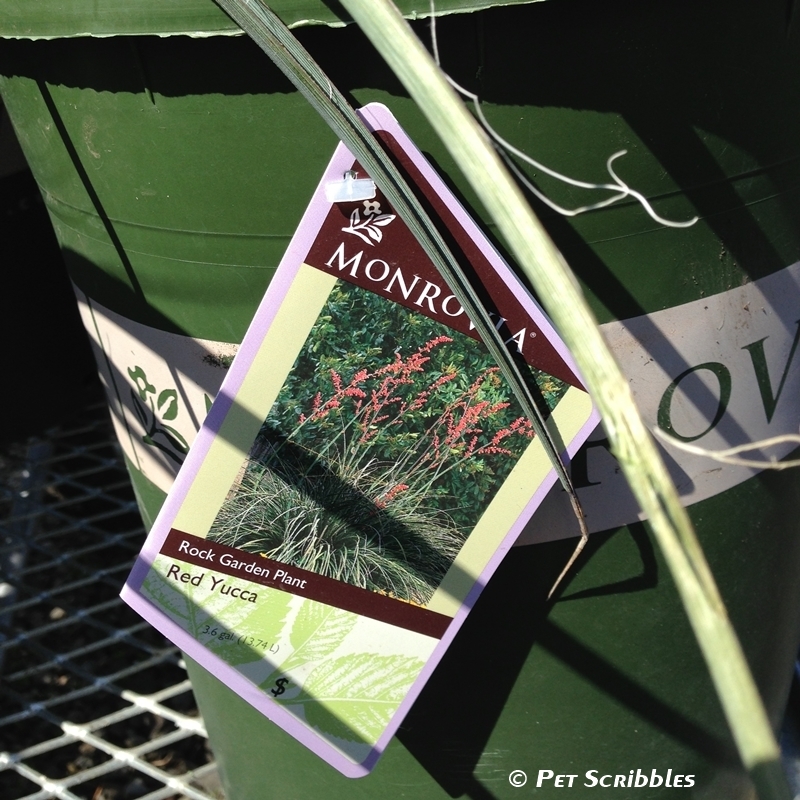 We went to Monrovia’s website and quickly learned that Red Yucca is considered an evergreen perennial, the flowers last a long time, that it works well in rock gardens and is suited to our particular zone. We bought three of them! We fell in love with these plants! The blooms stayed blooming almost the entire Summer season, without any special care on our part. 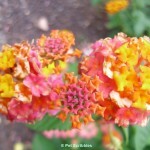 The flowers attract butterflies and hummingbirds, which I’ll never get tired of! 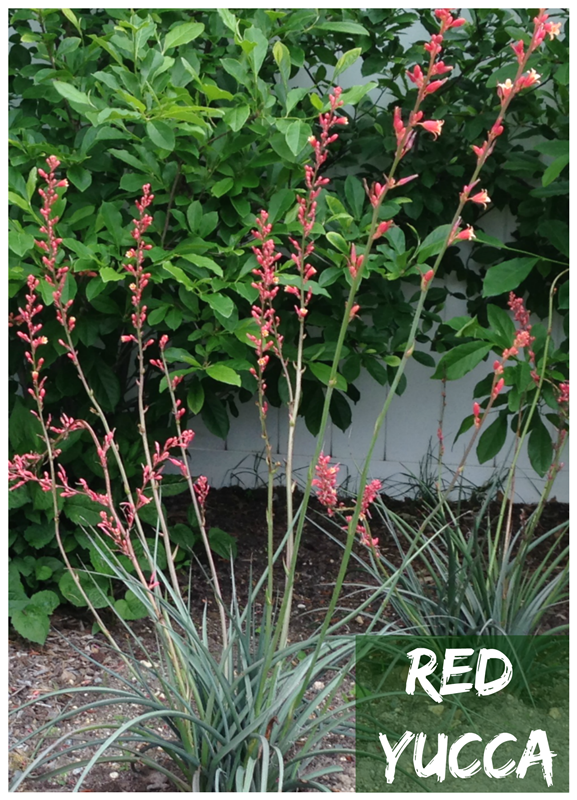 Red Yucca is also known as False Yucca, because it is part of the Agave plant family, instead of the Yucca plant family. 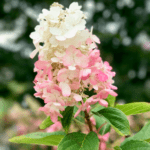 So you might see this plant offered under either name at your local nursery. 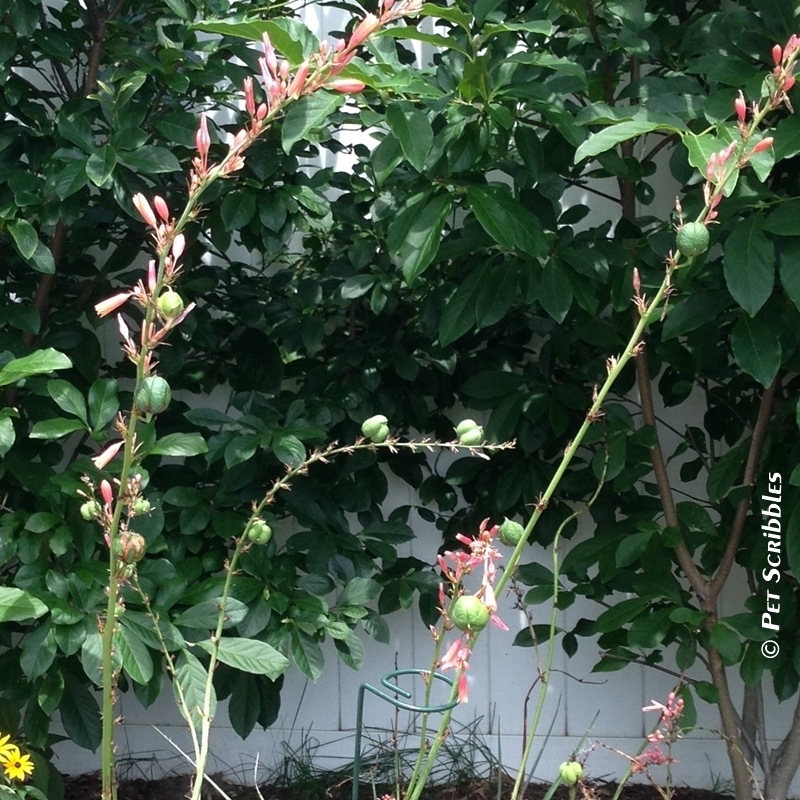 Seed pods develop on the flower stalks during the Summer. We kept the seed pods on, as we liked the look of them, but you can also remove them and keep the plant’s energy focused solely on its flowers. Remember I mentioned the lack of pretty mulch or rock? We were in the midst of redoing all of the garden edging in our backyard, using a professional this time. See where the rock ends by the Dappled Willow, below? We plan on extending the rock to the Magnolia Janes (blooming to the left) and around the Red Yuccas for a nice finished look. 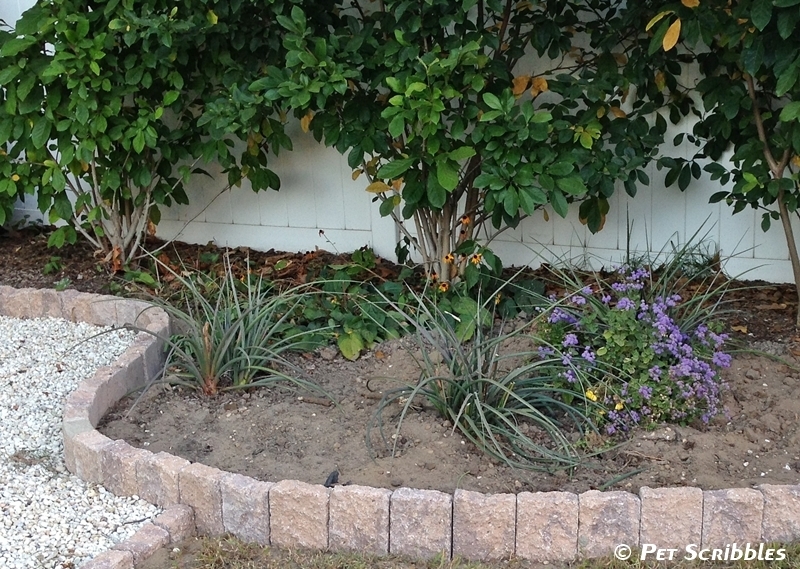 Adding more rock is on the list of this year’s gardening projects. Another long list! In the Fall, I never remove the fallen leaves around my plants, because they provide a natural mulch and protective covering. And since it’s in our back yard, nobody has to see it and think it’s an eyesore either! 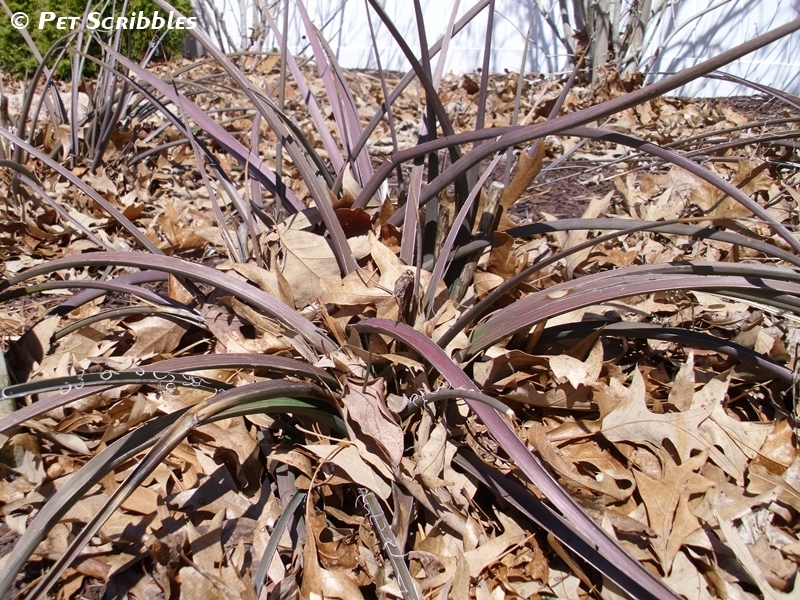 The leaves of the Red Yuccas turned a purple-ish shade in the Winter . . . 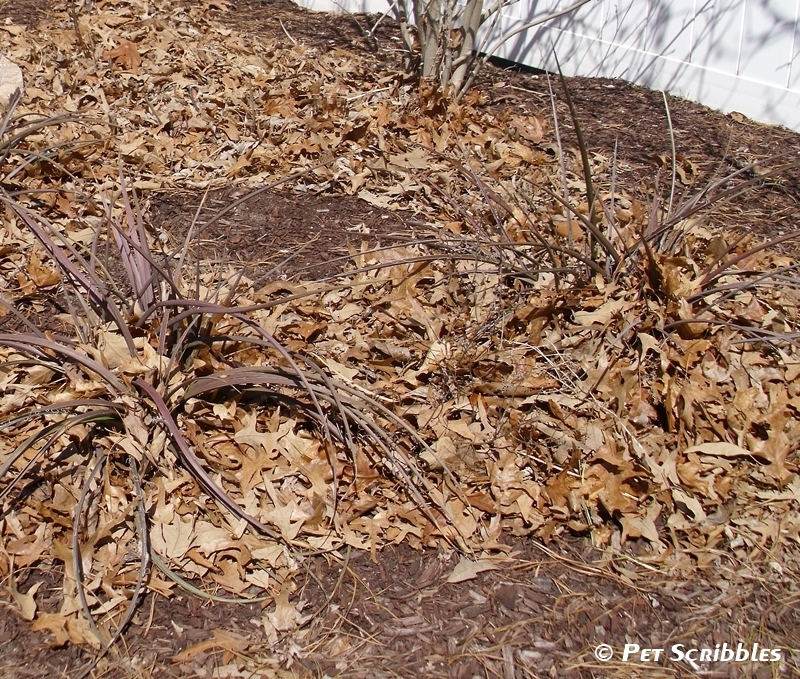 But as soon as I uncovered them in the Spring, all of the new green growth was there! 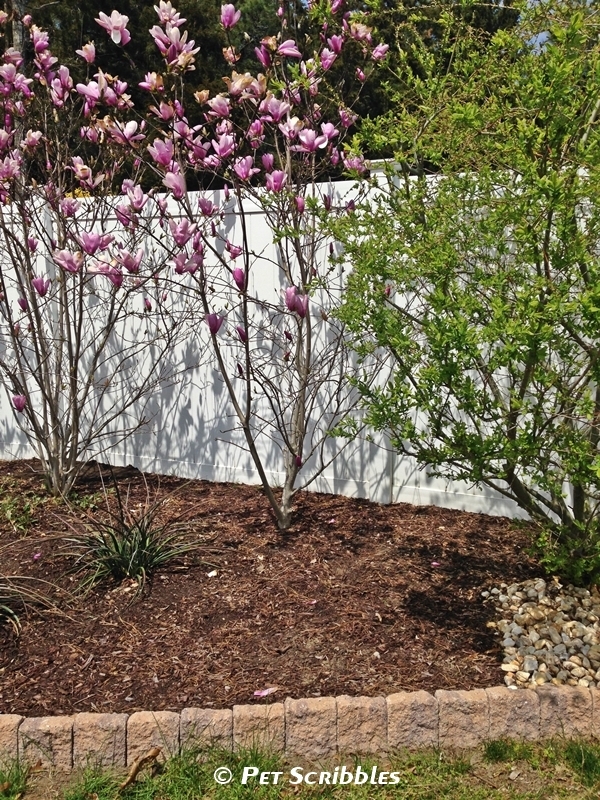 Our Magnolia Janes, which are blooming right now, draw your eyes right over the yucca plants . . . 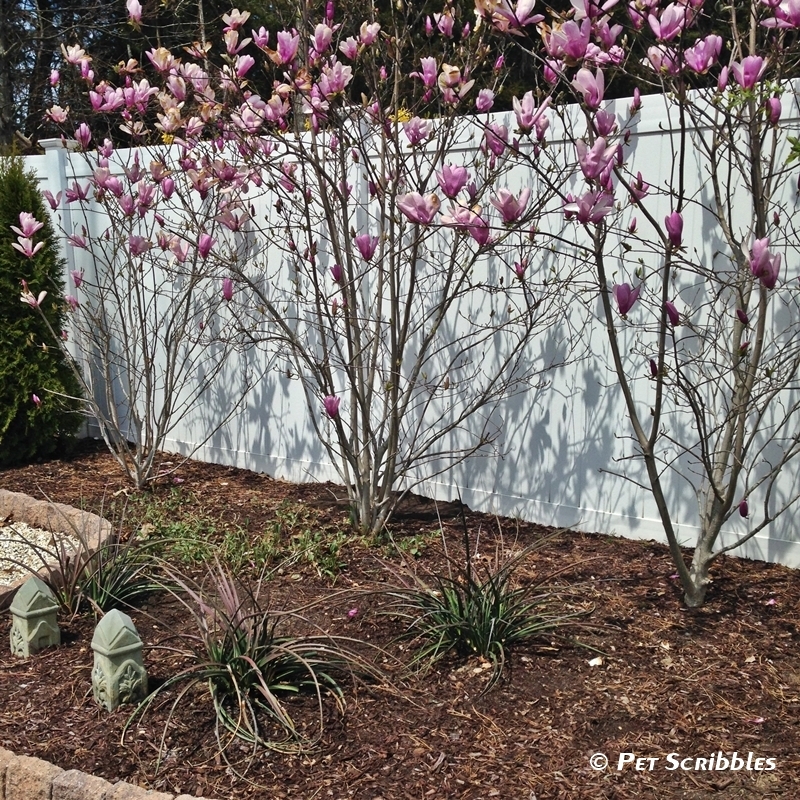 These same Magnolias will provide a lush green backdrop to make these coral blooms almost glow! We can’t wait for this year’s blooms! 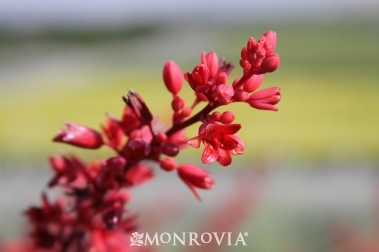 New for 2014, I see that Monrovia has a new Red Yucca plant available – Brakelights Red Yucca – which is more compact and has bright red flowers. 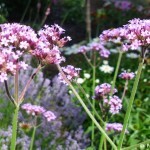 This new hybrid also rarely produces seedpods, so the idea is these plants will bloom even longer! Hmmm…. we just may need to find a spot to plant this new version! 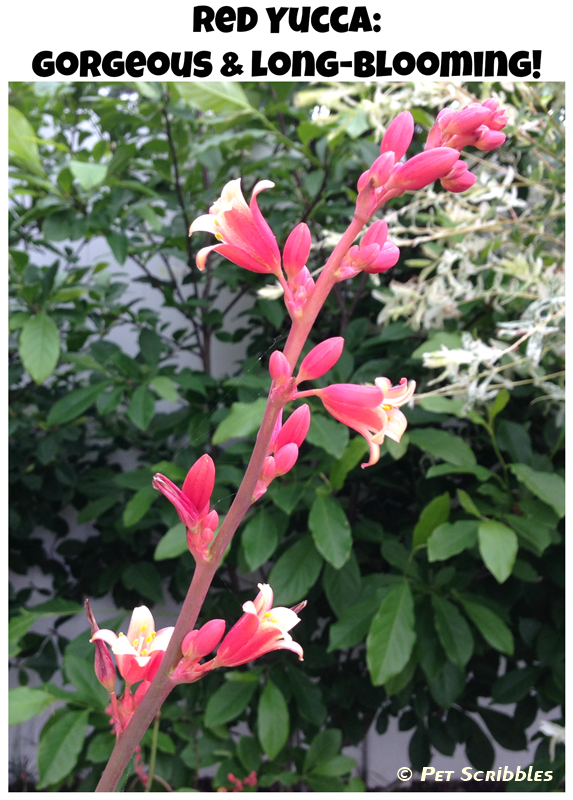 My red yucca has gotten too big for my small garden. Can it be divided? Transplanted? What are the risks and problems? Hi Margie, Although I’ve not personally had to transplant any of our red yuccas, I did a bit of research on the internet and it seems like you can transplant them best in Spring or early Summer. 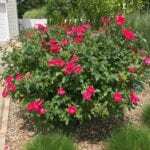 If you’re in a hot part of the country, you might want to wait for a cloudy day to transplant – somehow plants can do better when transplanted on those days. 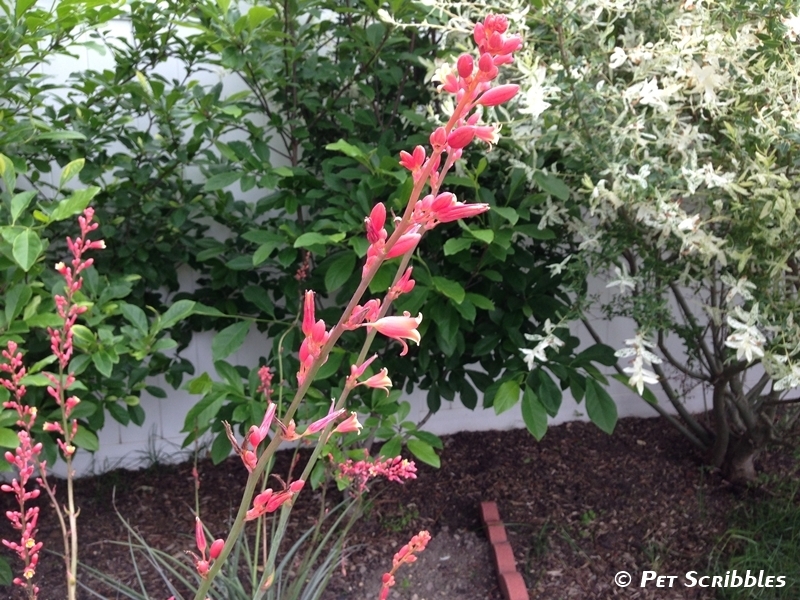 Apparently red yucca can be divided with a shovel or spade. 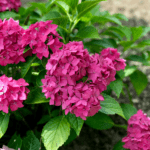 For both transplanting and dividing — you want to make sure you dig at least 6 inches outside of the plant to make sure you can get as much of the root ball as possible to transplant. The key is getting the roots. 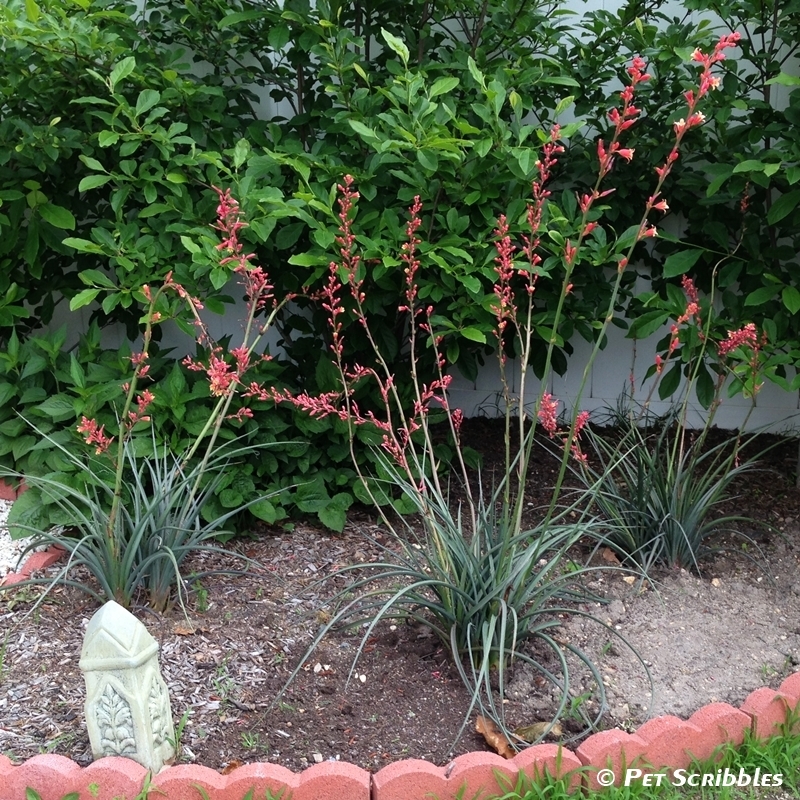 Water a lot once transplanted, until you see that the red yucca has settled in nicely, which it should do as it is a succulent, and they transplant more easily than some other plant types. 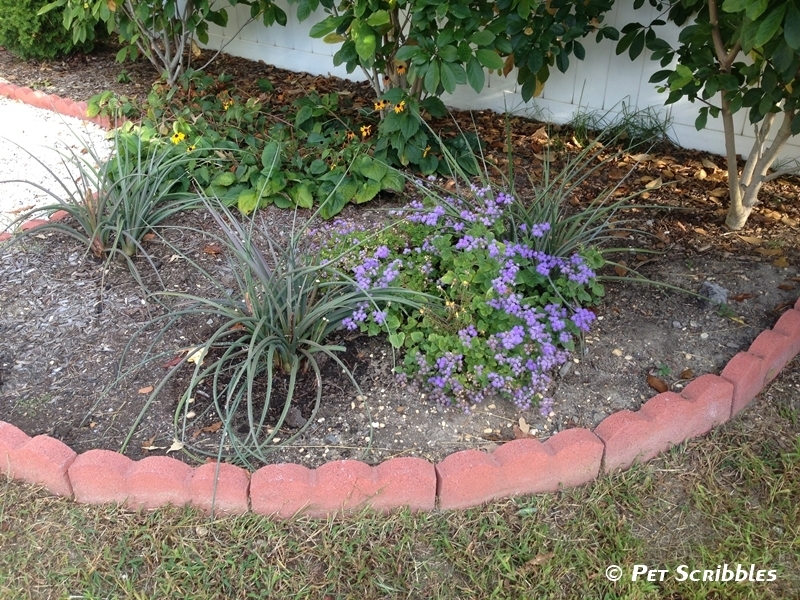 I also read a tip that you might want to gently tie up the spiky leaves of the red yucca to make it easier on yourself. Those tips can be pointy! 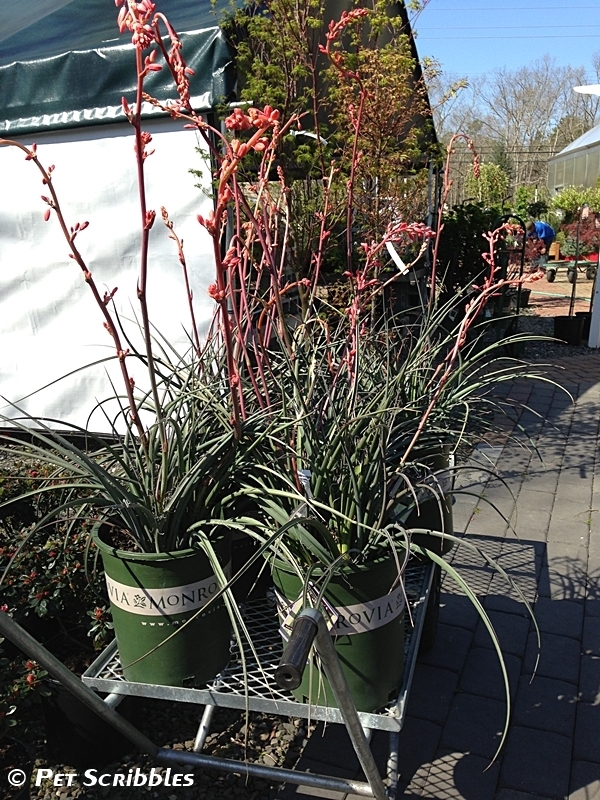 Red yucca grows slowly, so once transplanted you will hopefully be all set for some time. Let me know how this goes for you, and thanks for asking! 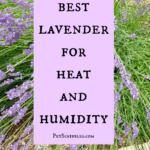 I just found you thru Hometalk and I love your gardening updates, I plan on following you for more information and ideas.